If an artiste held a concert and at the end of the day all that is discussed are her outrageous fashion choices then maybe it is time she considered a change in career. However, that is a proposal that will never work with singer Sheebah Karungi as she has discovered that if fans do not have much to say about your vocal prowess, then give them something to discuss about the clothes you wear. Two years back, Sheebah Karungi held her first concert dubbed Nkwatako at Hotel Africana. 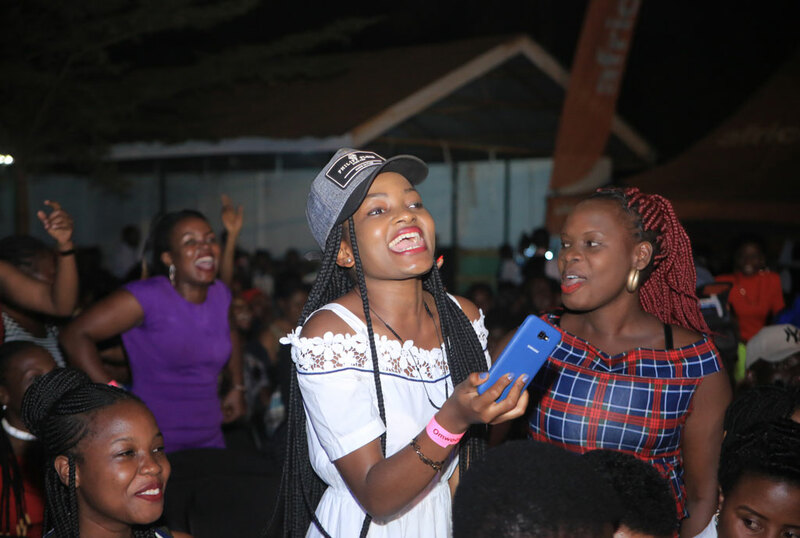 At the end of the long evening, she had registered one of the biggest crowds at the venue and that might have prompted KT to still hold Sheebah’s second concert Omwooyo at the same venue last Friday evening. 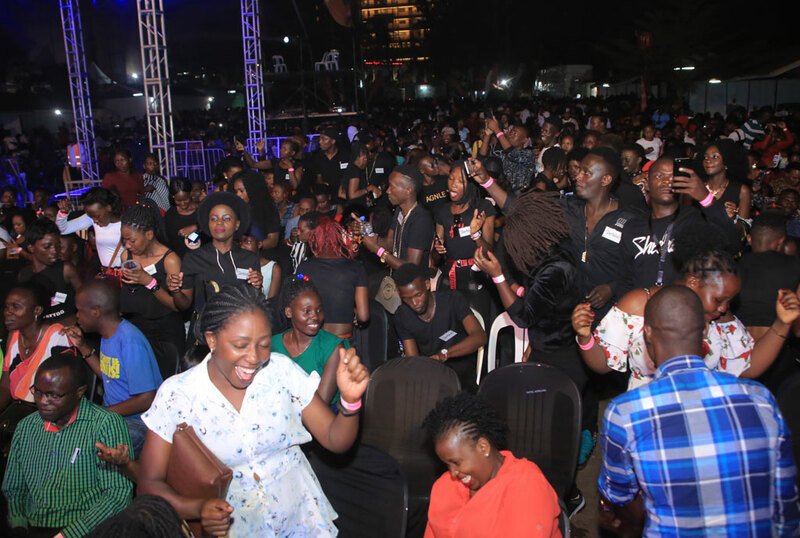 Just like the first concert, Sheebah still got a mammoth crowd, placing her among the most loved musicians in Uganda. Like she had earlier promised, she performed for close to 3 hours after short musical performances from Spice Diana, Vinka, Gravity Omutujju, Geosteady and Roden Y. 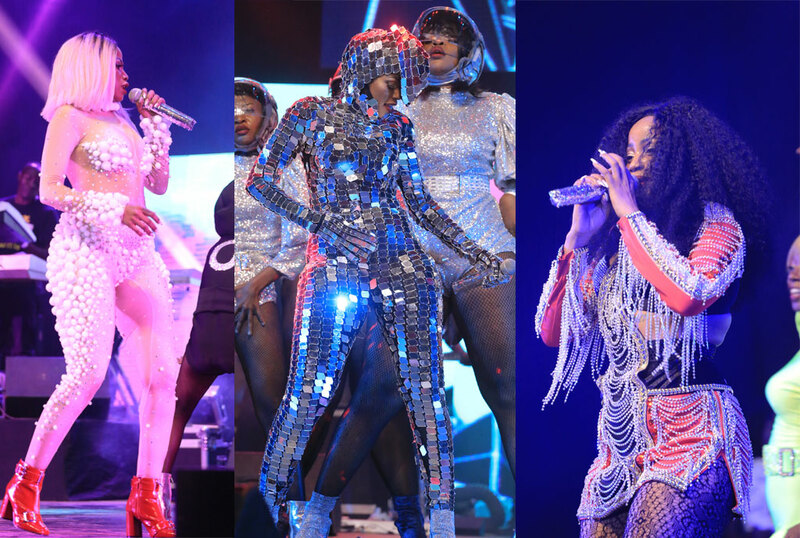 Besides her energetic and well-choreographed show, Sheebah made a fashion statement that has up to now is the talk of social media. However, Sheebah’s show had a lot of hiccups as well. The people at the extreme back were not able to see what was happening on the stage and screens didn’t do much to help. This particular outfit left revelers baffled. The stage should have been raised higher. Besides that, the band out shined Sheebah as the instruments were crystal clear than her voice. It seemed as though the band did most of the rehearsals without her. But what could you expect with Michael Ouma and Joe Sax along with others on the stage.